Jimi Hendrix is a legend. Despite his short life of only 27 years, he has influenced a lot of the world’s greatest guitarists – and he still does! Just take a look at an artist like John Mayer. His style is heavily influenced by Hendrix. It’s quite easy to tell that Mayer is a fan from the amount of covers he’s made of different Hendrix songs! Here’s a live version of Bold As Love, which is a good example of how he’s adapted the Jimi Hendrix style of playing the guitar. With his use of hammer-ons and pull-offs he imitates Hendrix’s way of mixing rhythm and solos. 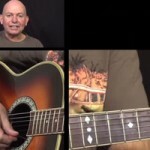 This short tutorial will show you how to mix up your rhythm playing with some extra spice. Let’s get started! Hendrix often used his thumb to play the bass notes in barre chords. This gave him the opportunity to use the other fingers more freely in order to play melodies over the chord. I’ll show you how to do this later. 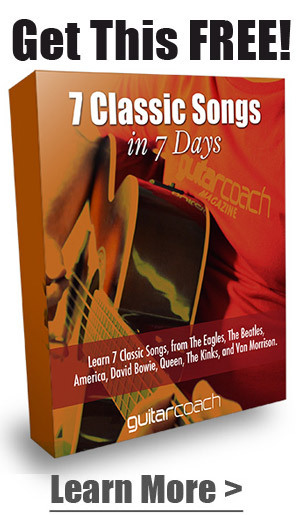 He often used 7#9 chords, e.g. 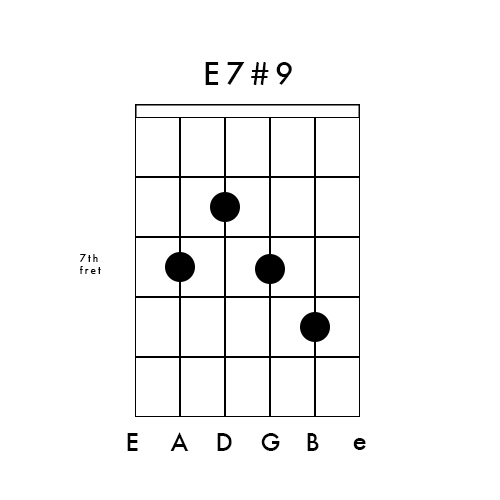 E7#9. 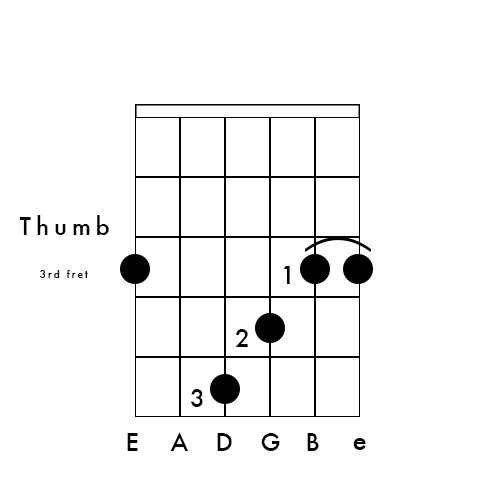 Hendrix used this chord as a substitute for E major AND E minor. An example can be seen in his song ‘Purple Haze‘, in which he plays E7#9 – G – A in the verses. A simple way of mixing rhythm with melodies is by the use of ‘extra notes’. 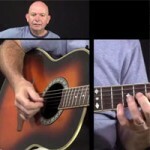 When playing a G major barre chord you can use your thumb to fret the 6th string. Like I mentioned earlier, this frees up your fingers to do other stuff. 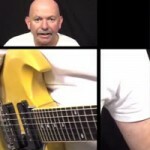 Use your 1st, 2nd and 3rd fingers to play the triad on the top four strings. Now you can already hear the Hendrix sound coming out of your amp! Experiment with different notes and you’ll soon figure out how this technique works. Another crucial aspect of the Jimi Hendrix style is what I call the ‘pentatonic concept’. It’s based upon pentatonic scales played around the different chords. 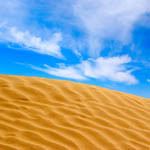 ‘When you … change … chord, you also change the scale’. This means that if you play an A minor, you can play the A minor pentatonic scale around it. When you then change to the G major chord, you also change the scale to G major pentatonic. The red dots indicate the notes you can play when holding the A minor chord with your thumb and 1st finger. It all comes down to knowing your pentatonic scales. 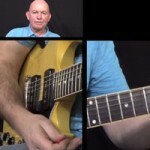 With only the first pattern of the minor pentatonic scale, you can create that special Hendrix sound. Let’s have a look at how Hendrix did this. 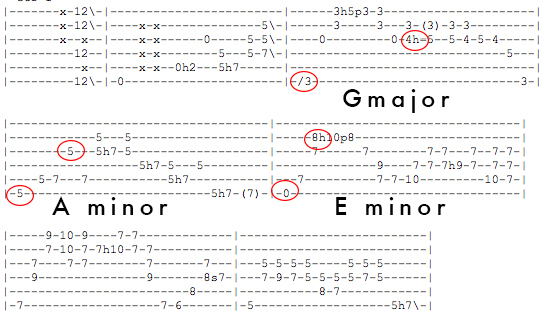 I noted the different chords in ‘Little Wing’ and their root notes and thirds with red circles. 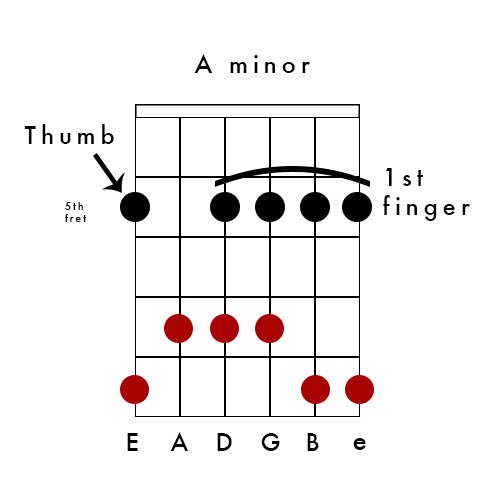 The third is what determines whether it’s a minor or major chord. I hope you enjoyed this tutorial! Just fool around with these techniques and observe how they all work. You’ll be playing guitar Jimi Hendrix style in no time! 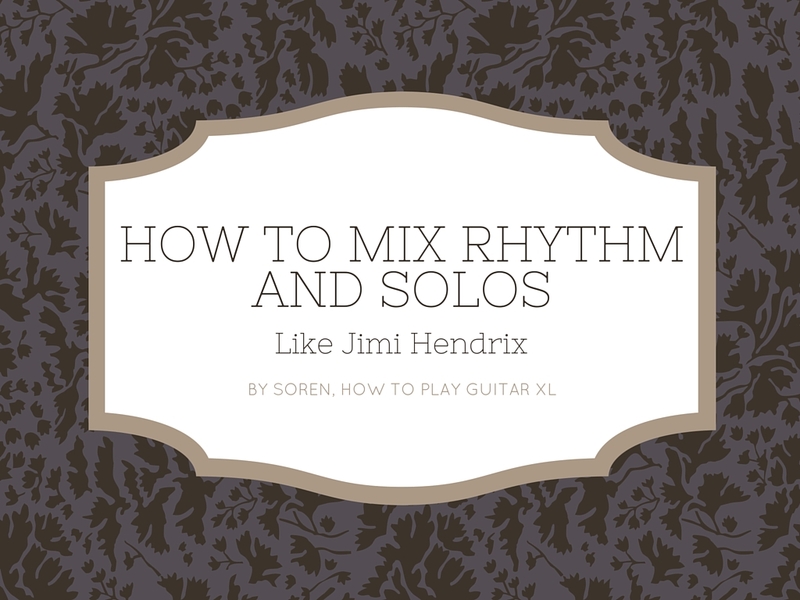 Soren is a Danish musician, guitarist and founder of howtoplayguitarxl.com. Despite being only 23 years old he has been teaching guitar and other instruments for almost 7 years. He teaches everyone from children to granddads. Besides playing guitar, he also has a lot of experience with producing music. He works with Ableton Live and Logic. Finally, he’s the lead singer of the Danish band PALA.